Figure 2 shows investors are not putting enough money into ETFs and mutual funds with high-quality holdings. Only 53 out of 7474 (1%) ETFs and mutual funds allocate a significant amount of value to quality holdings. 99% of assets are in funds that do not justify their costs and over charge investors for poor portfolio management. Figure 3 shows that investors successfully find low-cost funds. 80% of assets are held in ETFs and mutual funds that have Attractive-or-better rated total annual costs, our apples-to-apples measure of the all-in cost of investing in any given fund. Out of the 7474 ETFs and mutual funds we cover, 2213 (30%) earn an Attractive-or-better total annual costs rating. JP Morgan BetaBuilders MSCI U.S REIT ETF (BBRE) gets an overall predictive rating of Very Unattractive because no matter how low its fees (0.12%) we expect it to underperform because it holds too many Unattractive-or-worse rated stocks. Low fees cannot boost fund performance. Only good stocks can boost performance. 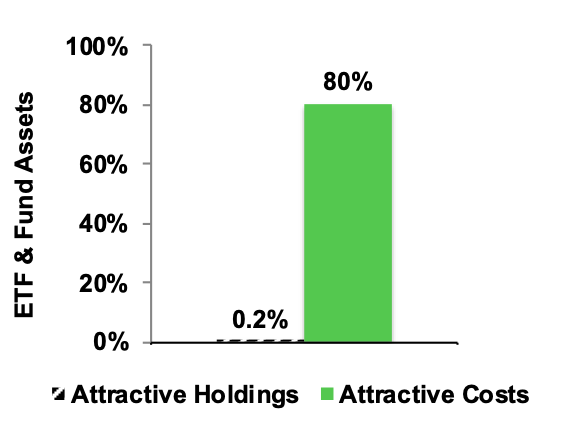 Figure 4 shows that 52% of ETF and mutual fund assets are allocated to funds with low costs and high-quality holdings according to our predictive fund ratings, which are based on the quality of holdings and the all-in costs to investors. Investors deserve forward-looking ETF and mutual fund research that assesses both costs and quality of holdings. For example, State Street SPDR Portfolio S&P 500 Value ETF (SPYV) has both low costs and quality holdings. The late John Bogle was correct — investors should not pay high fees for active portfolio management. His index funds provided investors with many low-cost alternatives to actively managed funds. However, by focusing entirely on costs, he overlooked the primary driver of fund performance: the stocks held by funds. Investors also need to beware certain Index Label Myths. This article originally published on January 31, 2019.